It's time again to round up some of our favorites from the month of March. We’ve all three weighed in with our picks and we’ve got a good variety here – let us know if you see something that strikes your fancy! 1. As you might have heard her mention – one of Liz’s goals for 2019 is to read more. Fiction specifically! 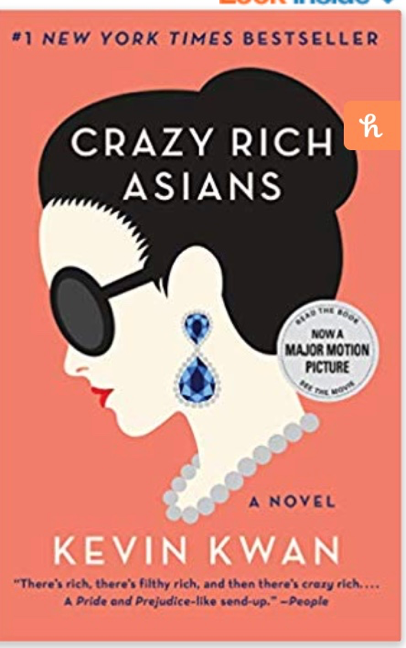 And this month she went “crazy” over Crazy Rich Asians. Personally, I’m impressed! Any book with a family tree at the beginning seems daunting. I haven’t even seen the movie yet. 2. On the apparel front – Liz highly recommend this cami/tank! As we’ve mentioned before – Amazon is really stepping up its clothing game! (You gotta check it out). And this versatile cami from Shein is super cute and affordable. Plus, it comes in a ton of colors! 3. Another on the list from Liz is this super neat shopping organizer system. It's called the Trolley Bag and it’s a pretty unique way to organize your food items as you shop. The bags are reusable and have been designed to fit perfectly into your grocery cart. As you gather your items you place them in the appropriate bags. There's even a bag for frozen foods and one with a wine and egg holder as well! Bonus points for it being made by a family owned business! Right now, the “system” is on sale for $34.99 so check it out! bit of color. I think there are three tints to choose from. I got myself a pink one and then, after liking it so much I got one for Liz and Jenny at Christmas. This one is a rose tint which (like everything) looks great on them both. It's $15.00/tube but well worth it. 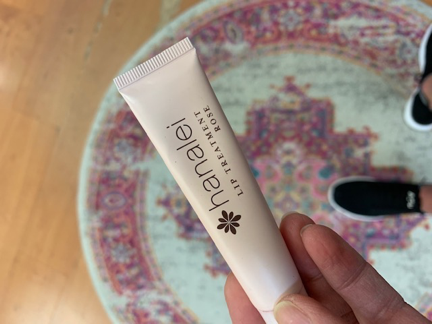 I’m still using the tube I purchased in November! 6. If you happen to use Airpods – Jenny recommends this handy carry case she found on Amazon. It's great for keeping those 2 earpieces contained and hooks right on your purse or gym bag. Plus, the silicone material protects the housing and adds a bit of flair! Besides - who among us doesn’t love a good tassel? 7. And last but certainly not least – one of our FAVES this last month wasn’t a product at all. It was a greeting of sorts, a homemade sign that gave us all some hearty chuckles. After a recent trip to see her sister and new baby niece, Jenny was greeted at the airport by her handsome husband, Brandon. When she came down the escalator to baggage claim there he stood ready to chauffeur her home. He even made a sign – a nice big one that everyone could easily read. He’s a keeper!